BugGuide.net: "Umber" brown, yellowish spots on forewing, hindwing has broad yellowish band." 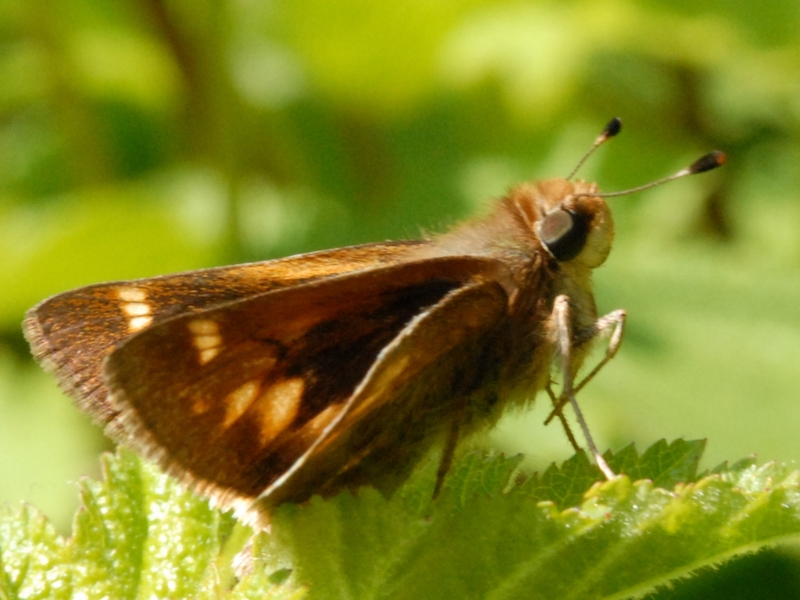 Umber brown, yellowish spots on forewing, hindwing has broad yellowish band. Adult: Nectar. Larva: Grasses and sedges. Varied: desert foothills, oak woodlands. California, west of Sierras, southern Arizona (rare), into Baja California, highlands of Mexico, Central America. Two or three broods, typically: April-October. Species Poanes melane - Umber Skipper. (http://bugguide.net/node/view/9790). Accessed March 12, 2016. .
Poanes melane. (butterfly.ucdavis.edu/butterfly/Poanes/melane). Accessed July 16, 2016.